Another rainy day, another pair of rain boots...but on the bright side, it's Friday! While taking these photos, J teased "you look so cute today! When are you going to stop dressing like a kid?" I love how the boots match the sweater! omg your outfit is soo pretty! I'm loving your blog and thats why i nominated you for a Liebster Award! Thanks & an even bigger thank you for the award! That's awesome! WOW Michelle it's lovely seeing you wearing your red Wellies you look really yummy,I always feel like a little girl when I wear my Wellies and enjoy jumping in puddles much to the consternation of my Boyfriend. Your red Hunters are really cute on you as are your yellow ones! 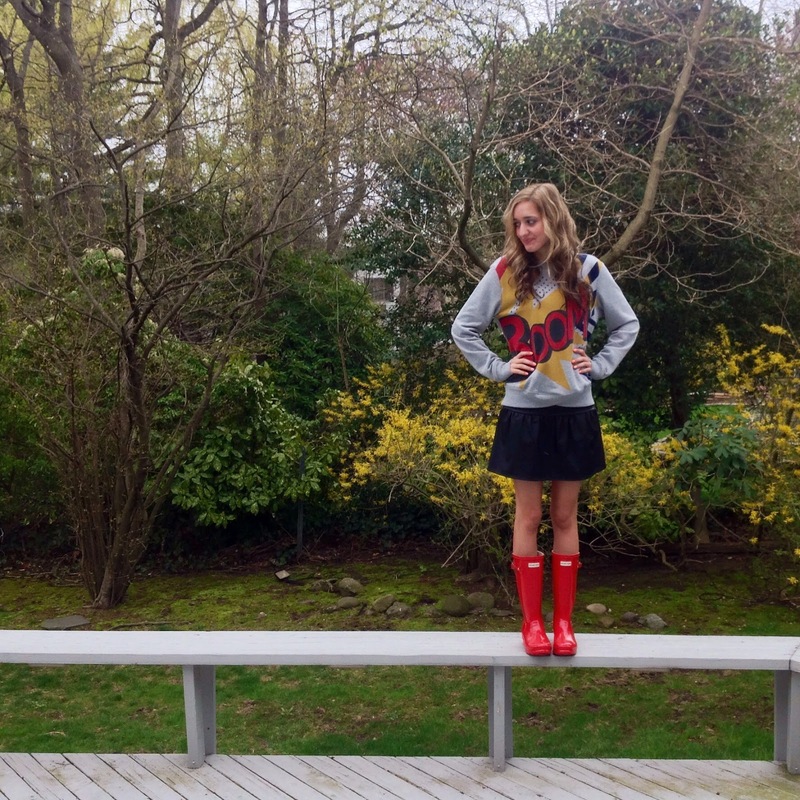 I have my own collection of 4 going myself so i totally love the look Hunter boots give you. Thanks so much! I love them - the colors brighten up rainy days!